Update software and drivers is a very important and responsible process. Installation of wrong sets of files can lead to malfunction of the operating system. If you need to know which drivers are currently installed on your computer, it is better to use a special utility. This will greatly save the time spent on the analysis of existing packages files. Download and install Driver Pack Solution. Of course, it is better to use the latest version of the utility, not its old counterparts. Restart the computer and run the application by opening the file DPS-drv.exe. Wait until the program will scan your hardware and collect the required information. Now open the misc tab. In this menu there are information about the installed drivers. They are divided into the following categories: "unknown", "current", "obsolete" and "standard". Open the desired category and find the equipment you need. Hover the mouse cursor over the driver description to see additional details. If you need to update the files for a particular device, expand the category "Outdated" and select the checkmarks next to the desired file packages. Now look in the upper left of the work window, the "Install" button and click it. Select the automatic install mode and wait for the completion of this process. If you are not able to use the above program, or you want to get more information about specific drivers, use the Windows operating system. Open the "start menu" and right click the mouse on "Computer". Go to properties of that item. Click "device Manager". Find the equipment you need and right click the mouse on its name. Select the "Properties" tab "Driver". Now click "Details". In the opened window you will see a list of files, which uses this device. In the gaming and professional computers video card has an important place. Lovers of computer games and video choose the video card carefully before purchase. To know the name of the video card without disassembling the computer, is also possible. Of course, it can be done if you have not preserved or simply don't have the instructions, or you bought a used computer. To know the name of the manufacturer and model of video card is easy. To do this, click "start" on the desktop, select "All programs", then folder "Standard". In this folder you will see the label "Run" ("Run"). This shortcut can be invoked in Windows Vista and Windows 7 by going to "start" and typing in the word "Run" (without the quotes) at the bottom of the string to search for programs and files. Click on the label "Run" and in the line that appears type "dxdiag" (without the quotes), then click "OK". You will see a diagnostics computer, which is called DirectX. It contains information about manufacturers of physical security of the computer is called "hardware". This includes the video card. Go to the display tab and make sure that. Type of chips - graphics processor which uses the graphics card. The DirectX diagnostic tool also provides information about the total video card memory, screen mode, connected the monitor, drivers, and capabilities of the graphics card. You bought a new powerful computer, and I already know how your favorite game on it "go". But what if the drivers for the video card you have and the operating system refuses to recognize it. Really abandon long-awaited pleasure? Do not be upset. The driver for your video card can be easily downloaded from the Internet. For this you need to determine which driver is needed, that is, to know the type of your graphics card. To do this, use the program CPU-Z designed for Windows operating system. This program is quite small, and it is absolutely free to download from the manufacturer's website. By the way, these two reasons make it so popular among network users. To download the program, install Internet connection and open the browser. In the browser window in the address field enter the address of the website: http://cpuid.com/softwares/cpu-z.html and press the Enter key. Or type "CPU-Z" into the search box of any search engine and click on the found link. After go to the website of the manufacturer, look on the right side of the page section "Download the last release". In this section you will see options for downloading the program. You need a variant that contains the word "setup, english". Feel free to press the link. You go to the download page. Click on the "Download now" and start downloading programs. When the program has fully loaded, start it. In the menu of the installation program read the license agreement. Select the folder for installation. Specify the name of the shortcut to the program in the start menu and install the program. After installing the program, run it. In the opened window you will see several tabs. Each of these tabs is responsible for a certain type of hardware installed on the computer. By default, the program displays the contents tab of CPU. Select the tab "Graphics". To do this, click on it with the left mouse button. On the tab you will see three sections that describe different parameters of your video card. The GPU section just contains information about the typeof e your graphics card. In the Name field displays the type of the model of the video card. The Code Name contains information about code name of the technology used in the GPU. The easiest way to determine the type of graphics card is to run the DirectX diagnostic tool. If you have the opportunity to open your computer case, you can see the name of your video card directly on the graphics card. You should do this only if You know how this Board looks and the warranty period for the computer has expired (breaking the seal on the PC You will lose the warranty). 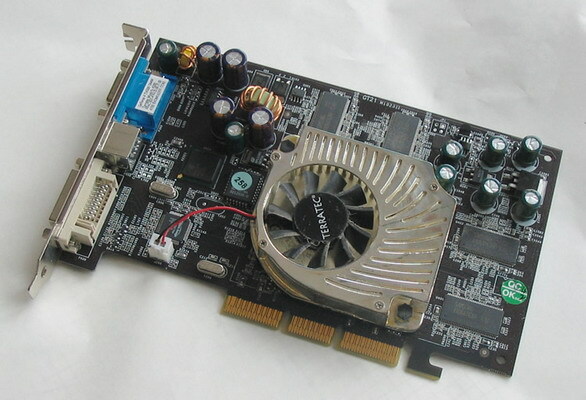 Video card is an important part of computer that generates the graphics signal displayed on the monitor. There are times when you turn the computer on and the monitor stays black or says "No signal". Most often the suspicion falls on the videocard, since a good gaming load it typically breaks down faster than other components. 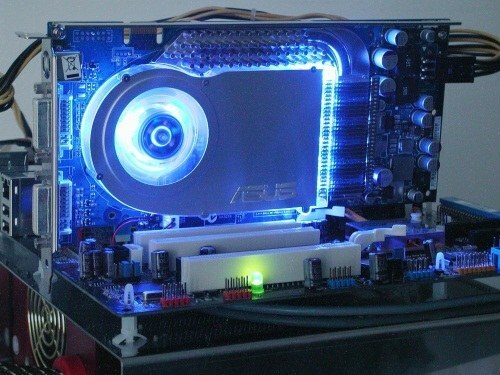 To check whether the video card, it is necessary to first verify that the other components of the computer are operational. Check the monitor. Take the monitor and connect to another computer or laptop. If the signal is there — then it is OK. Check the cable from the system unit to the monitor. Connect the monitor to your computer, but this time use a different cable. If the picture does not change — so it's not in the cable. Check to see if the computer starts. This can be done by ear — working computer makes a noise all of their fans are quite noticeable. But for further action auditory information is not enough, so remove the cover of the system unit, which opens access to the motherboard. If you press the power button inside the unit the computer is not alive any fan, the first thing you need to check the power supply. Check the power supply. Take another power supply with similar capacity or exceeding it, and connect the connectors on the motherboard, as was done with the old power supply. The other components to touch yet not necessary. If the computer starts and the screen went to a picture, the weak link is found, and it's the power supply. If not, move on. Check the graphics card. Pull the video card from the personal computer and insert another in advance making sure that it has a similar connector for video cards (PCI-E or AGP). If the graphics card has earned it to her disappear. You can put in your system unit with a known good graphics card. If video is still there, something is faulty, most likely the motherboard at least — the processor or RAM. General diagnosis of the video card, if you doubt the quality of her work, you can check with the help of special programs: ATITool, 3Dbench, 3DMark05 and other similar. The Internet except for programs you will be able to find and detailed instructions for their use. 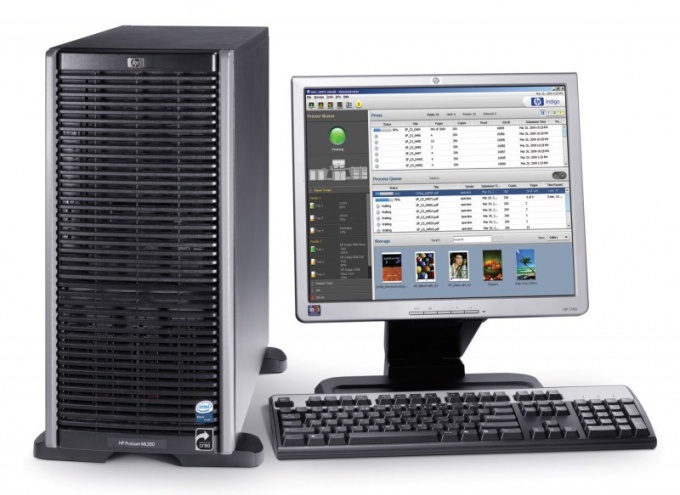 To prolong the operating time of mobile computers without connecting them to AC power in these devices two graphics cards. To install the drivers necessary to correctly determine the model of both adapters. Install Everest. It will allow you to obtain the most complete information about the state and characteristics of the devices installed in your laptop. Run the program and wait until the scan is complete system and devices and click "display Adapters". Locate and note the model of both cards. In that case, if your laptop runs on the Intel CPU, will visit the Russian version of the official website of this company www.intel.ru. Go to the menu "Support" and click "Drivers and downloads". Now in the "Select product family" select "Graphics adapters". Go to menu, Select a series of products" specify "Drivers Intel embedded graphics". Now select operating system and download the matching driver (program) for your integrated graphics. Note: switching graphics cards is done automatically and only if the integrated video card will not handle the load. If your notebook includes a processor company AMD, please visit the website www.ati.com. Go to the menu "Support and drivers". Now in the Component Category select Notebook Graphics. 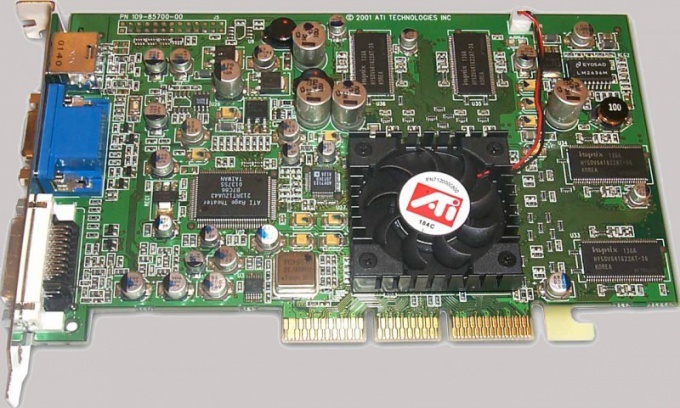 Now in the Product Line, specify the series of your graphics card, such as the C-Series APU. In the next menu Product Model specify the model of your integrated graphics, such as the C-50 ARI. Select the operating system installed on your laptop and click View Result. Now find the program Catalyst Control Center and click Download. Wait for the download program and install it. This utility contains a set of drivers for your integrated graphics and a program that allows you to manually switch between video cards. Long gone are the days when memory was the main attribute of the power of the graphics card. Now a good gaming graphics card in addition to a sufficient amount of memory must have a powerful processor and high memory frequency. Therefore, in the system requirements for modern games often write the names or the graphics card or series of cards supported by the game. Accordingly, in order to purchase or download the game, you need to know the name of your graphics card. It is also necessary if you want to download drivers to it. Owners of computers running Windows XP will be way to know the name of the video card. Just right click on an empty space on the desktop. In the context menu that opens after that, select "Properties". Then select "Settings" and go to the tab "Advanced". The name of your graphics card will be in the window that appears. In the case of Windows 7 the context menu that appears after clicking on the desktop, right-click, select "screen Resolution". Then in the window click on "advanced settings". A window will appear with the namem of your video card. The following method is universal. In the lower left corner of your Windows desktop click "start". Now in the list of programs, find "Standard". In the standard run command line. In it, type the command dxdia. Displays diagnostic tool Direct X. With it, you can see the model of graphics card. Operating system Windows XP name of the model located in the tab "Display". In the case of Windows 7 is a tab "Screen". The string "Name" is the name of the video card. You can also look at other parameters: "Manufacturer", "Type circuits", "memory", etc. If you need to know in addition to the names and characteristics of the video card, then you can use the program RivaTuner. You can download it absolutely free from the Internet. Install the program. Restart the computer and run it. After that, in the first popup window will open with the name of your graphics card. Under the name ofm will be written main characteristics. And at the bottom the window will be information about the installed driver. Next to the name of the video card is the arrow by clicking on it and going into a "low-level system settings", you can see the CPU frequency of the video card. 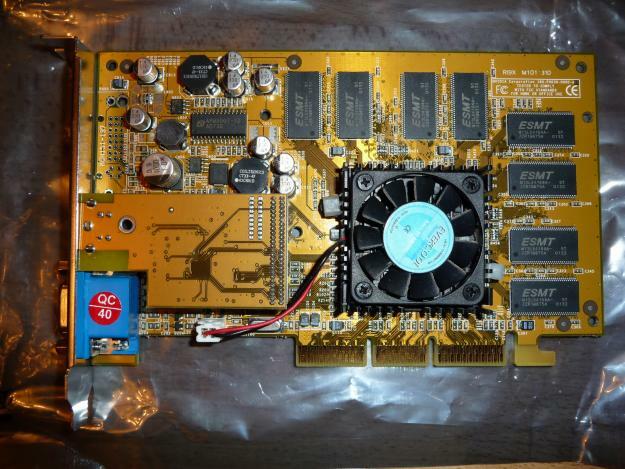 Video card – an expansion card inside the computer, is designed to accelerate 3D graphics and image output to the monitor screen. The power of the graphics card depends on your computer's performance in 3D games. It is specially adapted for faster than using a CPU, generating 3D models and various special effects such as water reflection, transparency and lighting. To get detailed information about installed in the computer video card, there is a special programm GPU-Z. It is free and does not require installation on your computer, displaying characteristics immediately after starting. The program GPU-Z has multiple tabs. The first tab displays the Graphics Card information about the name of the video card and its characteristics. 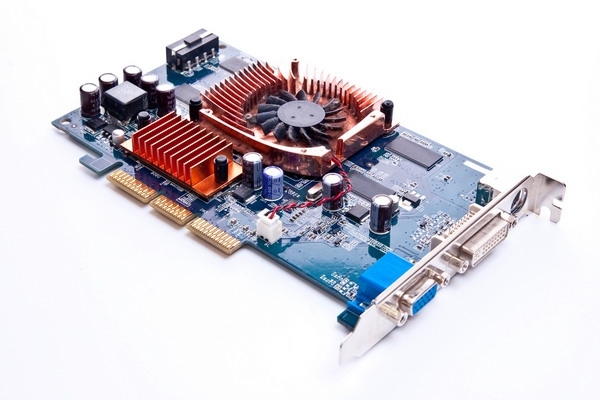 In the Name field, specify the manufacturer and model of the graphics card. The graphics processor is displayed in the GPU. You can determine the version of DirectX supported by your graphics hardware DirectX Support in the field. Field Memory Size displays the amount of RAM on the video card, Memory Type – its type, Bus Width is the bus width graphics card, and Bandwidth is bandwidth. Block fields GPU Clock and Default Clock displays the current and factory default frequencies of GPU, memory and Shader processors respectively. At the bottom of the Graphics Card tab located line Computing, which displays the supported graphics card computing technology. In it you can get information about technology-enabled distributed computing CUDA, physics simulation graphics card PhysX and others. If you hover the mouse on the desired technology, you will receive detailed information about its version, supported by the video card and the extent of its support. The second tab, Sensors, displays information regarding load, temperature and current operation mode of the video card in real time. Here you can see the current frequency on which works GPU, memory and Shader processors in the same fields as the tab Graphics Card. In the field of GPU Temperature displays the current temperature of the GPU. In the Memory Used field displays the amount of used VRAM. The current loading of the graphics processor shown in the GPU Load. You can take a screenshot of the displayed features or condition of the graphics card by clicking a small camera icon in the upper right corner, as well as learn information about the load on the graphics card and its temperature in the course of the game. To do this, select the check boxes for Log to File and Continue refreshing this screen while GPU-Z is in background tab Sensors.